Boilers are the heart of many homes and fuel a wide range of activities such as heating and many more. Due to the importance of boilers in the home, it is vital that you ensure your boiler is in a great condition. At First Choice Plumbing, we offer customers the best range of boiler services New Milton has and we will ensure that your boiler is operating in tip-top condition. What will happen during the New Milton boiler servicing? In our complete boiler service, our fully qualified and experienced staff will inspect every part within your boiler and if needs be, clean all of the boiler parts and eradicate any deposits. Our staff will also check for any potentially dangerous leaks within your boiler that could be having a corrosive effect on your boiler. The carbon monoxide and dangerous gases levels will be checked by inspecting and testing the flue gases for any irregularities. We will also test the gas meter to ensure that there are no irregularities within the system. If requested, we can install a wide range of boilers for your property. The traditional boiler involves having two water tanks in the loft which will then be heated up by the boiler. A huge benefit of this boiler is that hot water can be drawn in any room in your property. Combination boilers are one of the most economical boilers available on the market and have achieved a lot of popularity due to being really cheap to run. Another wonderful advantage of combination boilers is that there is an unlimited supply of hot water, unlike the traditional boiler. Condensing boilers are famed for being highly efficient and will help to reduce costs on your gas bill. A condensing boiler is ideal for customers who are able to pay the slightly higher initial costs to set it up however bills over time will be cut in a substantial manner. More information on our boiler installation services can be found by clicking onto this link. Why choose our New Milton boiler services? Like a car, your boiler needs a regular service to ensure that there are no hidden problems hidden in the boiler. On the surface, your boiler may be in perfect operation but this could disguise a more serious upcoming major problem with your boiler. 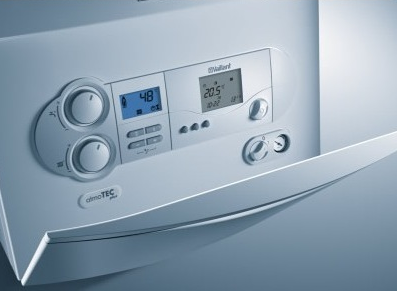 We provide our New Milton customers with a complete boiler servicing with prices beginning from £78 (with VAT). By selecting our boiler services, you can be rest assured particularly during the winter months that your boiler will be able to cope with the added pressure of heating your home on a more regular basis. At First Choice Plumbing, we are certified and accredited installers for the Worcester Bosch Group; this accreditation allows us to protect our customers with a ‘5 Year Parts and Labour Warranty’ on all boilers installed by our company. For more details on our wonderful boiler services in New Milton, please do not hesitate to contact First Plumbing today on 01425 460267.